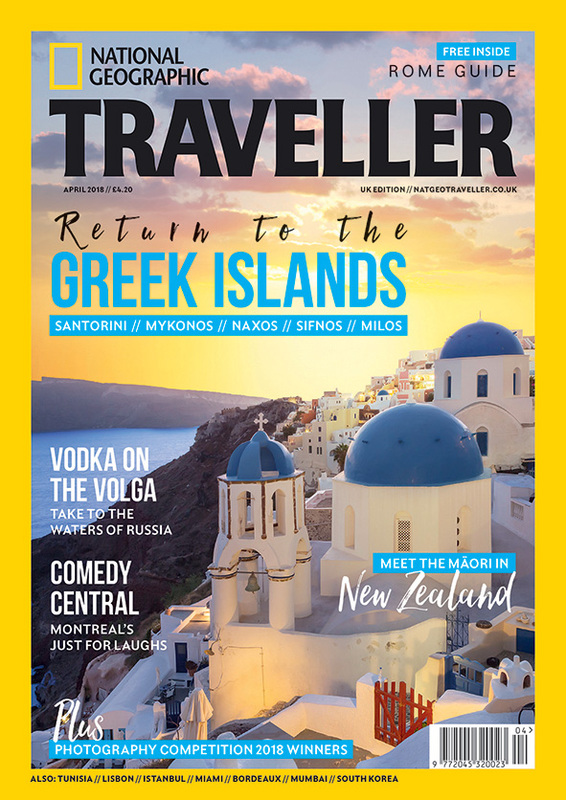 Put a spring in your step with an award-winning National Geographic Traveller (UK) subscription. Whether you’re planning your next trip or simply want to immerse yourself in a destination from the comfort of an armchair, it’s the perfect companion for the curious-minded traveller. Terms and Conditions: The £5 price applies to new UK subscribers paying by Direct Debit. The full UK subscription rate is £42 for 10 issues. All orders will start with the next available issue. *Subscriptions will then continue at £30.00 every year on Direct Debit. Subscriptions cancelled after the introductory offer but during the first year may be subject to £5 admin charge. Closing date is 30th June 2018. *National Geographic Traveller (UK) is published 10 times per year, with double issues in Jan/Feb and Jul/Aug.